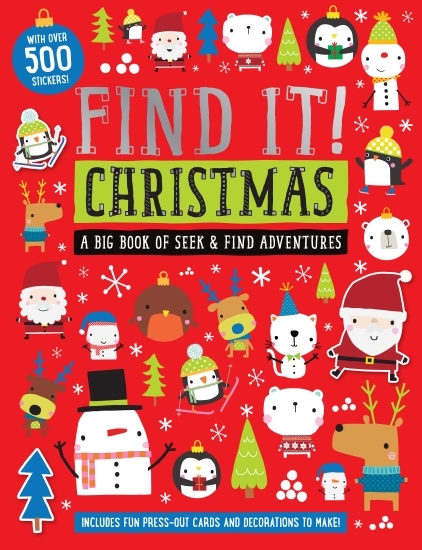 This festive activity book is packed with Christmas-themed search-and-find activities to keep children busy and happy! Children can read the fun, rhyming text, and then explore the busy pictures to find the items that are different. There are also fun card press-outs and more than 500 cute stickers.